Yaba College of Technology (YABTECH), School Of Technical Education In affiliation with, University of Nigeria, Nsukka (UNN), invites applications from interested and suitably qualified candidates for admission into its BSc. Degree Part-Time/Sandwich programmes for the 2017/2018 academic session. 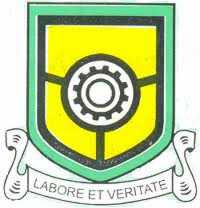 YABATECH BSc. Degree Part-Time Available Courses. YABATECH Sandwich Admission Entry Requirements. ND/NCE, HND at not less than credit level. 5 O’ level credit or its equivalent which must include English Language and Mathematics at not more than 2 sittings. 5 O’level papers/subjects or its equivalent level which must include English language and Mathematics at not more than 2sittings. How to Apply for YABATECH BSc. Degree Part-Time Admission Form.